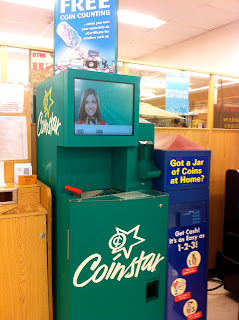 Have you seen the Coinstar kiosks in your local grocery stores? I've always thought it was a great idea to cash in all the spare change you have laying around the house. I usually just wait until it gets out of control and haul mine into the bank to deposit since I don't accrue a fee that way but did you know that Coinstar can turn your loose coins into gift cards for your favorite retailers without any fee attached?! No more waiting until you have a huge sack of change to deposit, now you can do a weekly sweep under the couch and on countertops to feed your shopping urge! 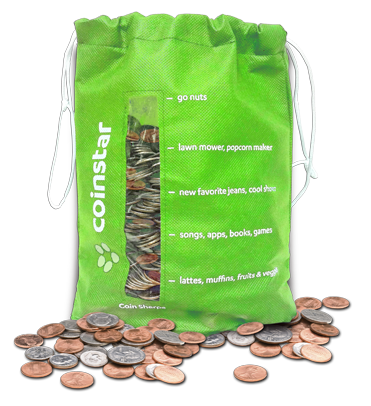 Better still, cash in your coins at any Coinstar Kiosk between now and August 26th and enter the promo code COINBAG, then enter your receipt code at https://coinstar.com/fulfill to get your very own Sherpa bag to receive a Coin Sherpa bag to keep track of all that loose change and what you're saving it up for! Detailed instructions can be found at: https://coinstar.com/coinbag. I took some change in to my local Coinstar kiosk this morning, here are some pictures of my experience, which took less than five minutes. I chose to redeem my coins as an iTunes voucher to feed the kids' app habit. What would you choose? 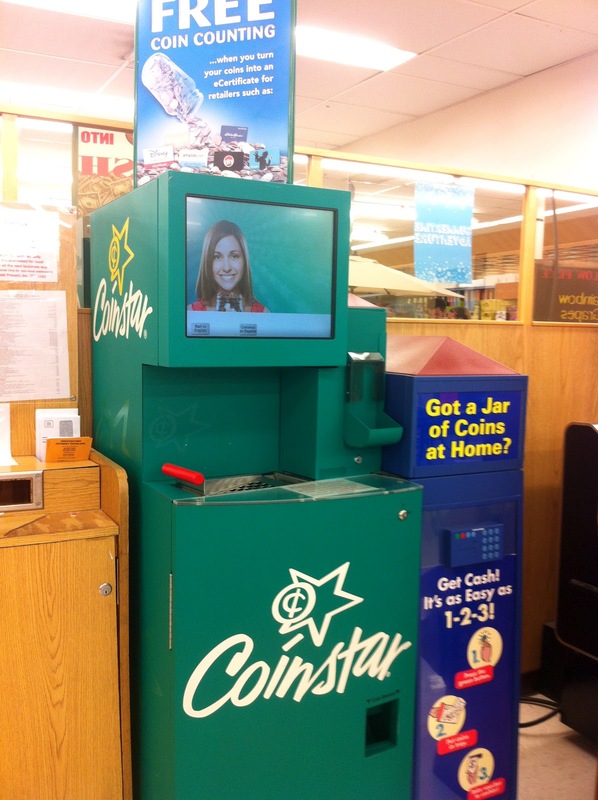 Follow Coinstar on Twitter and Facebook for more great deals. In accordance to the FTC Guidelines and the WOMMA Code of Ethics, I am disclosing that I received a Coin Sherpa with $5 worth of coins to try out the gift card redemption option. No other compensation was provided. All opinions are, as usual, entirely my own. OMG!! I didn't know this was an option and avoid those machines due to the fee. Now though, I'm gonna run there!! !